On a complete and total whim, I’ve recently become interested in collecting baseball cards again. When I was growing up, comic books were my collection of choice and I amassed a good 1000+ collection of them, mostly small imprints and independent labels like Image and Dark Horse with the occasional run of X-Men sprinkled in for good measure. I actually have a few rather rare comics, a couple variant covers, a couple signed comics, and lots and lots of “Issue #1” of dozens of titles. I pretty much have everything Jim Lee did between 1990-2000. Baseball cards were something I also collected, but just in the periphery of my free time. My father, the year I was born, decided it was a good idea to purchase the entire factory set of Topps cards from that year. That was a tradition he kept up for a number of years until I was able to continue it myself. I believe I have 1980-1990 factory sets from Topps somewhere in my closet. That was about as deep as my collection got. Topps was for the sets and then I’d grab random packs, usually of Upper Deck, whenever I found them. I gave up on both collections mid-high school and never really looked back. Money was tight and hobbies are the first things to go whenever that happens. Having talked with my friend Sam at length about baseball and cards over mexican food one night, it seemed that the “sport” of card collecting had really been taken to the next level. Topps “purchased” the rights to the entirety of Major League Baseball and is now the only company allowed to make cards featuring teams and logos. The MLBPA signed a deal with Upper Deck to use player names, but names only, which make for some kinda boring cards. So Topps is really the only game in town. That said, at least Topps offers a variety of cards. Actually it’s a over-variety of cards. They have, give or take, 20 different lines of cards. They range from a couple dollars a pack for normal “base set” cards to $150+ a PACK for things like “Topps Triple Threads” which feature actual pieces of cloth jersey or bat IN the card. They’ve also taken signatures to the next level. They get players to sign hundreds and hundreds of cards, some regular, some special cards, some really rare 1-0f-1 type stuff. The collecting almost isn’t about the player cards any more. It’s more about the crazy extra stuff. Cards with pieces of stuff in them, cards with signatures, cards with holograms or special printing, cards with dye-cuts or minatures, etc, etc. Then there’s extra special lines like “Gypsy Queens” or “Allen & Ginter” which are throw back designs with special features or artwork. It was actually the Allen & Ginter set that caught my eye as something to collect. The A&G cards feature retro designs, water-color-ish portraits and special signature inserts. A “hobby” box runs about $90 and features 12 packs and a guarantee of a certain amount of the aforementioned “cool stuff”. That’s right in my wheel-house. So, I decided to take the plunge. 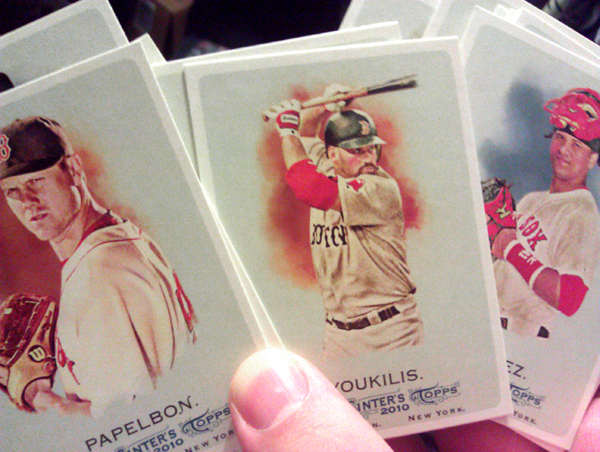 My goal is to collect just basic player card sets, of just the Red Sox, for 2004 through the current year and beyond. If I happen to run across some of the cooler cards along the way I’ll pick them up, but I’d be happy with just the commons at the moment. I just received my first set off an ebay purchase. The entire 2010 Red Sox team set of A&G cards. Being a big fan of desktop customization in general, and a self-proclaimed Photoshop wizard, it was really only a matter of time before I started making things for GeekTool, the roll your own Mac info widget thingy. I’ve been using GeekTool for probably a year or so now, mostly on my desktop at work. It’s a handy way to keep track of the weather, the time, the day of the week, etc. The “time” was always kinda basic and bland. It’s really just a text display and unless you have a ton of fonts, there’s really not much in the way of customizing you can do to it. And the “minimalistic text” thing gets kinda boring after a while. So, since it’s good to flex the creative juices every once in a while, and since I had just finished creating a set of Photoshop Styles for another project, I figured I may as well used them. So, I present to you, FlipClock for GeekTool. It’s a fairly simple set up, but I thought maybe someone else might find it interesting. The clock is four pieces. The background layer, the background of the flip digits, a script to grab the time, then the “bar” graphic overlay on top. The font I’m using is regular old Helvetica since it’s spacing is consistent, but it should work equally well with other equidistant spaced fonts. In GeekTool, just make a layer sandwhich. First, and an image layer with the background. Then a second image layer with the digit background. Then the included time script. Then the bar image on top. Also available on the downloads page. 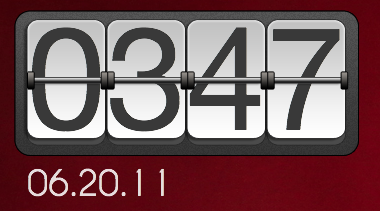 PS: I do realize there are multiple widgets, scripts, programs, etc for displaying a “flip clock”, as well as at least one other for GeekTool. There’s nothing wrong with those others, I just like mine better. Having done a quick photographic favor for a friend, they felt the need to repay me. I had told them that actual money was out of the question and that I wouldn’t accept it. I had helped out a friend and that was good enough for me. They felt the need to repay my kindness in Single Malts. This I find to be a completely acceptable form of currency. 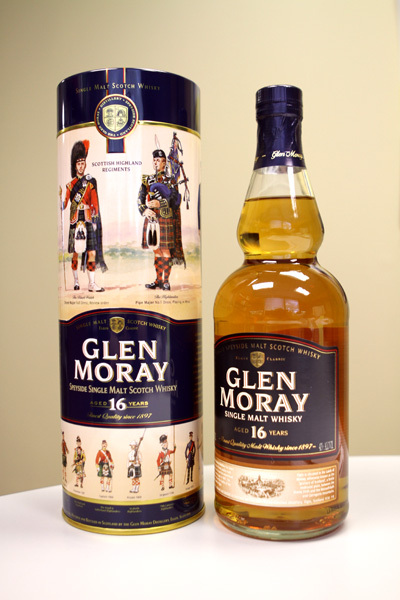 So, all future clients take note: Scotch, single malt and over 15 years old, is reasonable payment for services rendered. That is all. I had already mentioned this to a few people, but I just completed an update to my portfolio and photography website liquidillusions.net. It had been a little while since I added any new work and I hadn’t updated the design of the site for a while and it just felt like the right time to do both. I had actually done quite a bit of new freelance work since I had last updated it as well, so all that got added. There’s a couple projects I can’t add yet that are pretty cool but still in production. The new site, using the custom post types in WordPress should make it considerably easier to update going forward. So, yeah. Check it out, let me know what you think, take a look at the new work, all that good stuff. Enjoy.